The scuba koozies premium full color graphics will grab the attention of others with your creativity at your next personal or business event. 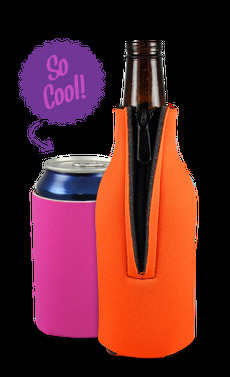 This vibrant-colored scuba coolie is collapsible, allowing you to conveniently carry your scuba koozie can holder anywhere you go. The scuba koozie was designed as a 12 oz. can holder and made with lightweight, 1/8" thick scuba material.